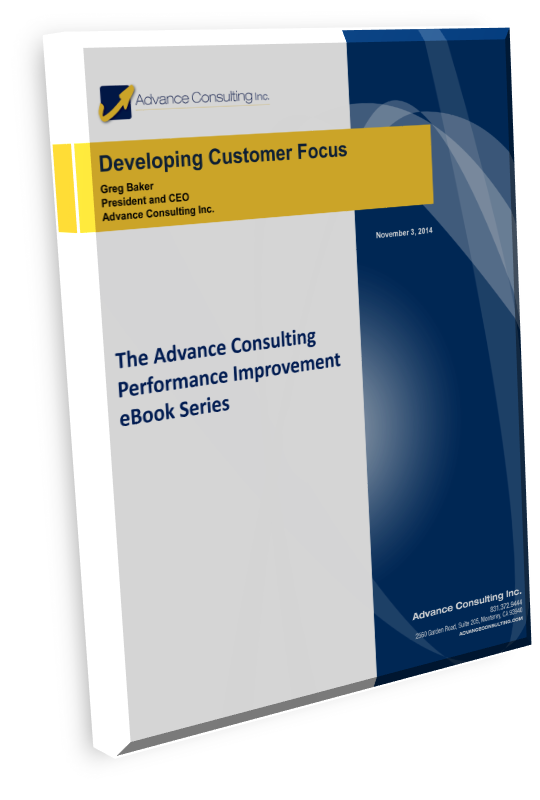 Developing Customer Focus eBook Download - Advance Consulting Inc.
DOWNLOAD THE DEVELOPING CUSTOMER FOCUS EBOOK! Learn how to develop customer focus in your business. Don’t waste your time and resources trying to achieve customer focus by treating symptoms. Get to the heart of it with a pragmatic approach for enhancing your organization’s customer focus – from the inside out. The Developing Customer Focus eBook download is perfect for business leaders who are just starting their customer focus journey, and for those who have had disappointing results and are looking for a new strategy and perspective.